Western Slope Skies is produced by members of the Black Canyon Astronomical Society, who take a look at our local night sky. Hear it every other week after the Friday morning local newscast (8:10-8:15 AM) and on the following Wednesday night at 8 PM during Global Express. Do you have a question about the night sky or other astronomical topics? Ask it in our comments section below, or email us! You may know the Greek myth of Perseus, a young hero who slew the petrifying Medusa and the sea monster Cetus, in order to rescue the beautiful Andromeda from her cruel mother Cassiopeia. The ancient Greeks saw fit to immortalize the story in the sky, by tracing constellations resembling these characters. We recognize these constellations today-- in particular, Andromeda with its legendary naked-eye galaxy M31, our closest spiral galactic neighbor. The winter evening sky was dominated by two exceptionally bright “stars” that are actually planets — resplendent Venus, nearest of planetary neighbors, in the west, and regal Jupiter, largest of the planets, in the east. As we enter spring, Venus and Jupiter remain celestial highlights, and will treat us to a special double-feature in mid-April — each planet will be very close to a prominent open star cluster. If you rise early on Saturday, April 4 you will be treated to an unusual event: the third of four total lunar eclipses occurring within a period of just two years. This has been called a lunar eclipse tetrad. Venus, Mars, and a thin crescent Moon will create a stunning sight in our early evening sky on February 20. If skies are clear, find an open spot with an unobstructed horizon and look to the west between 6:15 and 7:00 p.m. At first you may see brilliant Venus next to a thin, crescent Moon. As twilight fades, fainter Mars will appear between Venus and the Moon. Use binoculars for a truly amazing view! As twilight ends this winter, look to the east. You may see a very bright “star” that does not twinkle. This is Jupiter, the largest planet of the Solar System, eleven times the diameter of the Earth. At first glance, our night skies can appear as a dark canvas illuminated with points of mono-hued light. But, as your eyes adapt, and on closer inspection, one can pick out stars with colors that are blue, white, gold, and reddish orange. The Moon is very bright during the first week of January, and it’s tempting to go for a snow shoe trek or ski tour by moonlight. But two weeks ago, the moon was hardly visible at all. There is one main factor that determines the visibility and brightness of the moon: lunar phase. But, varying Earth-Moon distance also plays a role. This is an ongoing series on Women in Astronomy. Today, we meet three modern women in astronomy, Jocelyn Bell Burnell, Andrea Ghez, and Carolyn Porco. The December solstice is coming! At 4:03 p.m. Mountain Standard Time on December 21st, the Sun reaches its most distant point south in 2014, as viewed from Earth. This defines the December solstice, which is the shortest day in the Northern Hemisphere and the longest day in the Southern Hemisphere. With fewer hours of sunlight during autumn the nights grow longer and there is a distinct chill in the air after the sun sets. You may notice the sky appears darker and the stars just a little clearer. A star chart or an astronomy app for a phone or tablet will guide you to the fall constellations and many of the stars visible in our skies. On these late October evenings, you may see a hazy band of light stretching from the southwestern horizon and crossing overhead to the northeast. This is the Milky Way, an object of great wonder throughout human existence. On October 8 we were treated to a total eclipse of the moon, and on October 23 North American sky-watchers can experience a partial solar eclipse. The second total lunar eclipse of 2014 will occur in the pre-dawn hours of Wednesday, October 8th. Nearly the entire eclipse will be visible from Western Colorado. Next time you see the Big Dipper out of the corner of your eye, take a look at the star in the middle of the handle. If you have decent eyesight, you may see not one, but two stars: a brighter star known as Mizar, and a fainter star called Alcor. 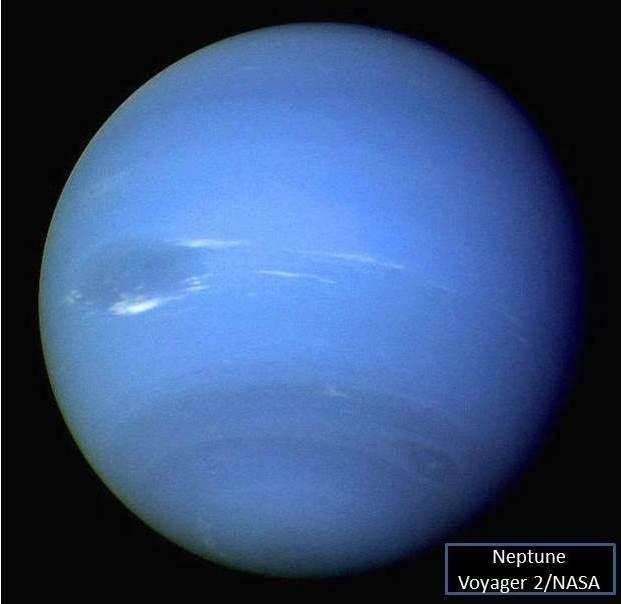 Perhaps at first glance, but considering that Neptune, the 8th planet, is 30 times farther from the Sun than Earth, it’s actually an amazing sight. At approximately 2.8 billion miles away, it cannot be observed with the un-aided eye. Seeing the disk and color requires a moderately sized telescope, and a keen-eyed astronomy buff. Late August will be a great time for planet watching, in the morning and the evening. 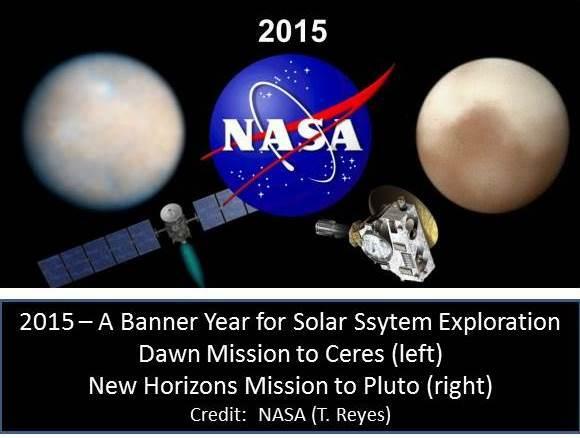 If you are up early on Monday, August 18, you will be rewarded by a spectacular pre-dawn sight. We learn in grade school that the Moon, our nearest neighbor in space, causes tides on the Earth’s oceans. It does so through its gravitational attraction to the Earth. But the gravitation interplay between Earth and Moon has other, subtler effects as well. The Sun sets late on these long summer days, and it’s not fully dark until almost 10 PM. And, because of this week’s late-rising moon, the sky remains dark long after twilight, allowing us great views of the Milky Way and the stars of summer. Pluto a planet? Not a planet? Beloved Disney Dog? With the arrival of warmer temperatures, perhaps you’ve been enjoying some outings to the mountains or a float trip on a river. While there is no doubt that summer is in full swing here in western Colorado, it’s not until this coming Saturday that the Universe makes it official. Those of us that live on the Western Slope are no stranger to spectacular scenery. The jagged peaks, chiseled canyons, and expansive plateaus of western Colorado are treasures that we all cherish. But one of our most spectacular natural wonders may also be one of our least appreciated: our incredibly dark and pristine night skies. Have you ever seen the planet Mercury? When conditions are near optimal, Mercury is easy to see. However, optimal conditions are rare, and many casual observers search for Mercury without success. This is because of the planet’s proximity to the sun. The safe time to view Mercury is after sunset or before sunrise, depending upon the Mercury's orbit. Last month on the program we learned that only the five superior planets can be at opposition. The fast movement of our planet’s orbit brings us between those five planets and the sun every year. In April, Mars was at opposition. This month, on Saturday, May 10th, its Saturn’s turn to shine! 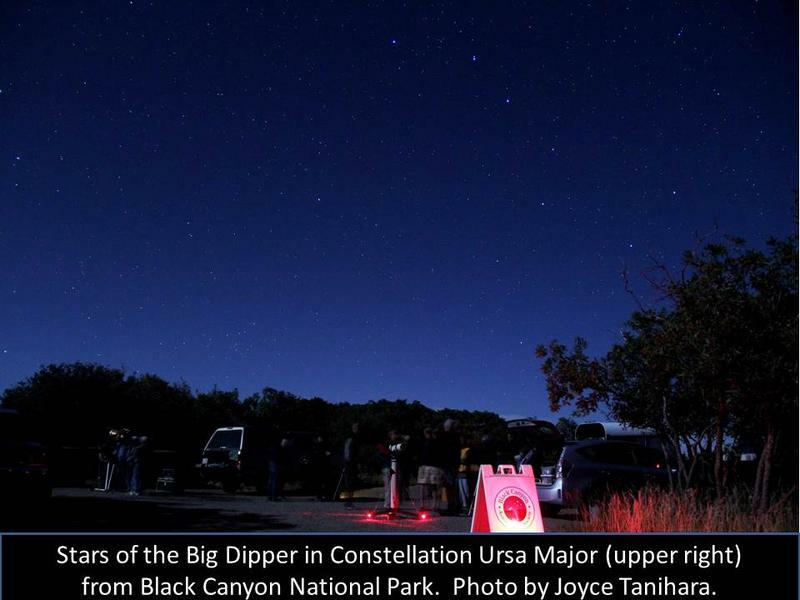 The Big Dipper is a great starting point for learning the night sky. Located near the pole of the sky, it never completely sets or dips below the horizon—it’s visible in the night sky year-round from the Western Slope! The Big Dipper itself is not a constellation, but it resides in one called Ursa Major, the Great Bear, third largest of the 88 constellations. 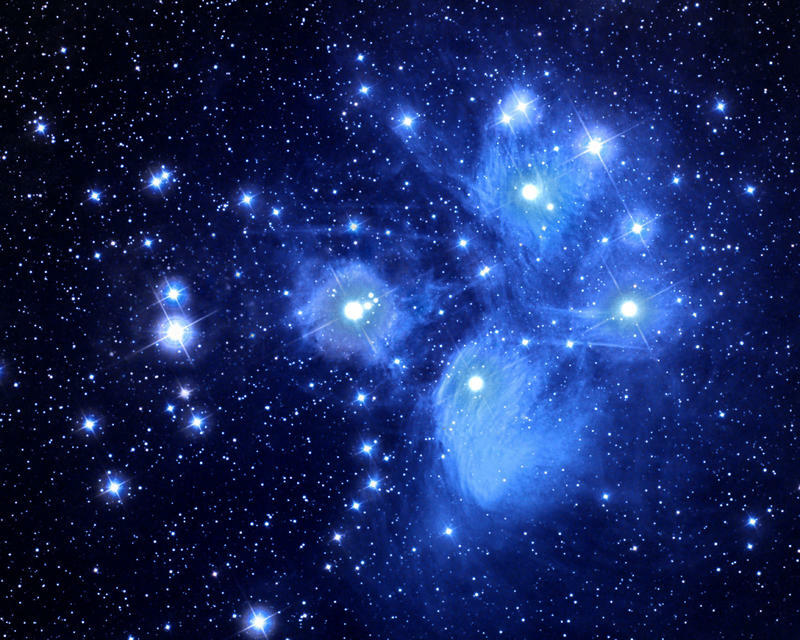 The name originates from the dipper-shaped pattern formed by the seven main stars in the constellation. Late on the evening of April 14th and into the early morning hours of April 15th, skygazers throughout the America’s and much of the Pacific region will be treated to a total lunar eclipse. This eclipse will be the first of two for the year. By the time the sun, earth and moon line up it will have been 857 days or 28 months since we last saw our moon completely in the shadow of our planet. Astronomers use a number of curious words to describe the planets in their orbits, for example, quadrature, conjunction, elongation, and ... opposition. This is a continuing series on Women in Astronomy. Today, we meet Margaret Burbidge.